I swear the fates were conspiring to stop me reading this novel. Just as I was settling into reading it... pop, my Kindle died. By the time the replacement arrived, I was so swamped with work that the pages remained frustratingly out of reach. It is a measure of the novel then that I was so keen to dive back into the world it details once time and functional devices permitted. I've grown to like the work of Thaddeus White more and more - this is the second in his Broken Crown trilogy, depicting a raging war for a crown that sees magic largely play second fiddle to politics and the steel of the sword. The characters face the prospect of swift, brutish deaths - sometimes even at the hands of the supernatural monsters memorably created by White. There is tension throughout - and characters who you will finding yourself rooting for... or against, depending on which side you cheer on. The motives of the characters are understandable, from the manipulative Karena to the determination of Princess Sophie, and it's hard to completely see any one of them as evil. My only real wish for the novel is that it had a tighter focus on fewer characters - as it can be quite tricky to keep track of the large cast, and you long to spend more time in the company of several of them only to be whisked away to another part of the realm. That said, it's an enjoyable read and I think I'll return to this for a second read. Perhaps I'll make sure of a back-up device this time. 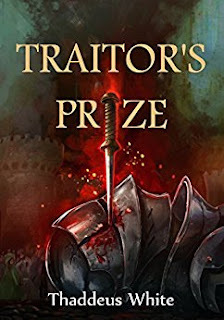 Traitor's Prize is available on Amazon. This book took me by surprise - and pleasantly so. While the Roman elements were expected - Roman is, after all, right there in the title, the setting in a modern world where the Empire never faded was not. So it was with some glee that I explored this alternate world and its ancient rules. A series of murders pitches together Dai, a Briton, who faces prejudice and discrimination as daily occurrences, and yet still has a role as an investigator picking up after the crimes of others - and Julia, a Roman citizen with a determination to be fair to all. In the middle of the investigation, these two find duty to be a common trait - Dai with his duty to his job and the tasks he faces, and Julia with a duty to all those within the Empire, citizen or not. Together, they start to piece together the pieces of the puzzle that connect a series of deaths - only for the danger to become very personal indeed. I really liked this story - the setting and characters would lend themselves very well to a TV adaptation, if any producers out there are looking for a new twist to the genre. There were a couple of moments in the story where information was relayed to our erstwhile investigators when I wished they might be more involved in uncovering it for themselves, but that aside, this was a great introduction to a detective duo whose adventures I sincerely look forward to following. 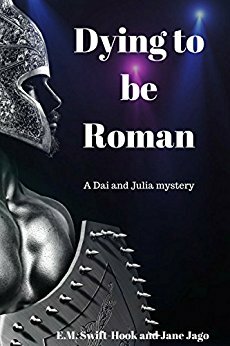 Dying To Be Roman is available on Amazon. This is a bold book to write. Author Jacci Turner takes our world and flips it around - creating an America where black people hold the power and white people are the minority experiencing daily prejudice and disadvantage. The author herself admits that it was scary to write - and that she was wary of making the conversation about race worse rather than better. Aimed at a young adult audience, the story follows Ann, a young white woman as she joins a new school. In this world, the white population was drastically reduced by illness during the times when black people were kept as slaves. Seizing the opportunity, the slaves staged a revolution - and a different America was born. Ann finds herself navigating this world, where white children are shunned, where jobs are given to others because of their black skin, where car doors are locked as she walks by and where the possibility of friendship with black children is an invitation to be hurt physically and emotionally. It's a story of abuse and the multitude of microaggressions that victims of prejudice have to experience on a daily basis - and how they can sometimes push people over the edge of what they can tolerate. I suspect this book would best suit those who have not explored racial discrimination to a great level yet - a book that might open their minds to the problems so many face in our own world because of the colour of their skin, and it is a book that will bring out some loud criticism from some quarters for not being more in-depth in that discussion. That said, it is a starting point, and for that it deserves great credit. If this leads readers to discover a Jacqueline Woodson, an Angie Thomas or a Renee Watson, then it's all the better for that. 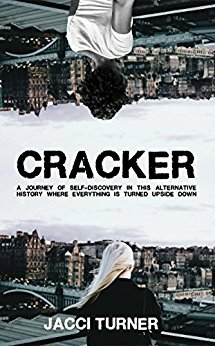 Cracker is available on Amazon.